This performance-installation was presented in downtown Mexico City by localStyle and participating visitors. It took place over a five-day period in April 2006 as part of EstacionArte, an alternative, non-commercial art fair. 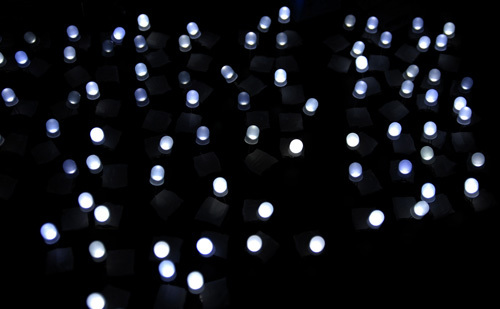 The work explored the dynamics of audience participation in the course of assembling a large wall image that was 'drawn' using hundreds of battery-powered LED lights.